How does a company without a clear vision, go on to become a top platform? Emmett Shear is the co-founder of the live video platform, Justin.tv. When his co-founder was on Mixergy, he said that Justin.tv didn’t have a clear enough vision. Then it reinvented itself as TwitchTV, the video game broadcasting community that Emmett runs today, and the company took off. Emmett Shear is the co-founder of live video platforms Justin.tv and TwitchTV, the video game broadcasting community. Andrew: Coming up-how can calling your customers give you a giant business opportunity? It did for today’s guest and it just might do the same for you. Also, why is gaming the place to be right now? Before we started recording, today’s guest told me that is it for him and that’s one of the things he wants to tell you about. So, we’ll talk about it. All that and so much more coming up. First, three messages. Who is the lawyer that founders in the Mixergy audience trust? Scott Edward Walker of Walker Corporate Law. Have you seen what Chris Pritchard posted on my Facebook page? His new company’s incorporation pages that Scott Edward Walker helped him get. Scott Edward Walker is the lawyer that publications like Forbes trust. Go to WalkerCorporateLaw.com. Next, when my friend had to close her company’s office but still wanted to give callers the impression that all her employees work well under one roof together, what service did she use? Grasshopper. With Grasshopper, everyone who works for you could have an extension. They can pick up calls on their extensions no matter where they are or what phones they use. They can transfer calls to each other back and forth with ease. Get those features and tons more at Grasshopper.com. Finally, when Dave Jackson and Dave Petrillo invented a product that keeps coffee at the perfect temperature, what platform did they use to create their online store? Shopify.com. Look at how beautiful their store looks. It’s because it’s built on Shopify. They did hundreds of thousands of dollars in sales. Shopify stores are designed to help you sell. Patrick Buckley invented an iPad case and used Shopify as his online store. Within months, he sold over $1 million in cases. Get your beautiful online store at Shopify.com. Here is the program. Hey, everyone. My name is Andrew Warner. I’m the founder of Mixergy.com, home of the ambitious upstart. Andrew: We’ve got a little bit of a lag. We did our best to get rid of it. Hopefully it will clear up as we do the interview. The audio, thankfully, is coming in very clear. Emmett: Yeah. So, when I was first looking into getting into the gaming space, I decided the most important people in the space are the people who produce the content. I really wanted to make Justin.tv at the time and then Twitch.tv the best place to share video game content. What I realized was that while I loved watching, I was not a broadcaster. I had never really broadcast video games and I didn’t myself know enough about how to make a great site for doing that from the broadcaster’s point of view. So, I decided what we would do is I would call everyone who broadcasted on the site already, everyone who used to broadcast on the site but left because it wasn’t good enough for them for some reason, everyone who was doing something similar but had never done it live-so, people who are on YouTube and were recording gaming sessions but had never tried broadcasting it live. And I talked to all these people who produced that content and I sort of asked them, “What brought you to this? Why do you do this? What’s your motivation? Is it for fame, for money, for self-expression, to give back to the community? What’s your motivation?” That was really important. Understanding that is key to understanding what features matter to them. If they are for money, fundamentally your features better support money. And if they’re for self-expression, fundamentally you want a completely different set of features. Really, all these questions are asking the same thing, which is like, “What features matter to you? How do you use the service? Where are your pain points?” But you can’t just ask that once to someone. If you just ask someone that question, most people don’t spend enough time introspecting about the websites they use to give you valuable information the first time you ask. So, what you do is you ask that same question in eight different ways until you sort of stop getting new information. I tended to take 15 or 20 minutes, half an hour sometimes before they stopped saying anything really new. Then I found that I had to interview maybe seven or eight people of each type before I started seeing patterns and stopped getting a lot of new information each time. So, we wound up doing almost 30 to 40 interviews because there are maybe five different classes of broadcasters that we decided we’d approach. Andrew: Alright. Before I ask you a couple of follow-up questions that I’ve been writing as you were talking, can you turn your camera off and on again on Skype, just because it looks like it froze on me? Andrew: And here it comes back up… There we go. Alright. Much better. Why can’t you just ask people, “What are your pain points?” I guess they don’t think about it, but if you were to ask me today, “What’s your pain point with doing live interviews on video?” I’d say, “Well, there’s a lag. It’s never as clear as being there in person. I’d take a worse resolution as long as it worked and felt like it was in real time.” I know my pain point for things. Why don’t people know them? Emmett: Well, you’re a little special in that you yourself are kind of an entrepreneur. You spend your whole life thinking about websites and like what’s good about them, talking to people about them. Most people who use a service, they’re interested in the game. They’re doing this because they love the game or because they are a big part of the gaming community. For them, the service and the pain points of the service, that’s not a big part of their life. It’s this thing on the side. Also, they’re not used to being taken seriously by the people who can make the decisions. Many of these people have never been asked before, “Hey, what do you think? What would you change?” Most people have never had a chance to have input into a web product that way. So, it takes a while to get them going and get their mental juices flowing on what their experience has been like. You have to ask follow-up questions. They say, “Oh, it’s laggy.” You say, “Okay. When is it laggy? What about it is laggy?” And then it comes out that it’s not laggy for most of their viewers, 60-70 percent of the viewers, that’s fine, but it’s laggy for the bottom 30 percent of viewers because they’re broadcasting at 2 Mbps and their bottom 20 percent of viewers can’t watch that. And then you’re like, “Okay,” and you’re trying to understand, “Here’s the problem: your viewers have a wide spectrum of abilities.” But they don’t think about it that way because it’s not their job to think about it that way fundamentally. They don’t spend all day thinking about it. So, when you pull that out of them, then it becomes clear, “Oh, what we actually need…” That was a real set of questions I ended up asking on the videos. What we actually need to do is we need to transcode the video. We need to make it available in 360p as well as in 1080p because there are some people who are never going to be able to watch in 1080p and it’s not because there’s something wrong with the service, it’s because fundamentally some internet connections are better than others. But we wouldn’t have gotten that if you just go with their first thing, their first response because we had spent lots of time trying to improve the system in general, but the problem wasn’t the system, the problem was the specific piece of the system. So, you really have to keep asking follow-up questions until you figure out the specific thing that they’re worried about. Andrew: What would have happened if you would have just called them up and say, “Hey, I want to build what the community wants us to build. I’m going to turn it over to you. Tell me: what should we build next? What should we do next?” And I’m not going to listen to every single person, but if I start to see repeating requests, then I’ll build that. Why not go even simpler? I want to understand this whole questioning process. Emmett: Yeah. So, the problem with asking the community, “What should we build?” and basically having them vote, more or less, is in fact that these people don’t spend all of their time thinking about what to build, right? Everyone wanted people to be able to watch video in higher resolution. But paradoxically, the way you get there is by allowing people to watch video at lower resolution. That’s not a mental leap that most people are going to make when they’re presented with that problem. Generally, we were right on with that because it was based on exactly what they had told us. Occasionally, we found out, “Oh, wait, that’s not going to solve your problem at all.” They’d point out something we hadn’t thought of. So, I had this whole spreadsheet of basically feature ideas that we would come up with based on talking to people and then votes from people based on how much they wanted that feature and how important it was to them. Andrew: And the way that you got this list of features, Emmett, is just by talking to them, extracting their pain points and then putting them in a list and showing it back to them and saying, “Did I understand what you wanted me to build?” and then they told you, “Yes, not only did you understand it, but that’s critical to me,” or, “No, you didn’t understand,” and so on. Emmett: Exactly. There are really two phases of interviews. There’s the first phase of interviews where I was going out and information gathering. And then we took that information about what the pain points were and where the opportunities were and we brainstormed ideas for how we could fix those. And then we came up with those ideas and sort of ranked them by how good we thought our various ideas were. So, there are sort of two halves to the process. You’ve got to find out what the problems are and that it’s good to validate that you actually came up with a solution for it by discussing it before you build it. Andrew: You know what? I’ve got a list of other follow-up questions to ask you about how you extracted people’s pain points, but I’m imagining a person listening in the audience and already thinking, “Boy, this is a lot of work and it’s not so straightforward where I can have the same set of questions. Why should I even bother with this?” So, let me ask you this-did you guys do this back when you were launching Justin.tv? Andrew: And then what happened when you didn’t do it at Justin.tv? Emmett: So, the problem with the way we did it at Justin.tv was while we built a tool that worked generically-it worked when we tested it and it worked for the class of users that we simulated well, which was people who wanted to broadcast themselves with the webcam, since that was essentially what the Justin.tv show was-we had a really good insight into, “Okay, you want to run a live stream show? You want to run a live streaming show of your life or just you sitting in front of a computer?” We understood that really well. We spent nine months almost doing nothing but that. Andrew: You mean because the first version of Justin.tv was basically a camera following Justin as he lived his life. So, you said, “hey, you know what? We understand what it takes to do that. We’re scratching our own itch by creating a product anyone can use to broadcast themselves.” Okay. So, at that point, we’d make improvements but you’re just shooting in the dark. Some of them probably work. We continued to grow. The fundamental thing we built, the ability to stream yourself, was very powerful. But it was hard for us to get beyond there without gathering that feedback. So, I’d say it was a real weakness for us, as soon as we moved outside the zone where we absolutely did already understand the issue. There are a bunch of startups or products where you don’t need to talk to people because you are the user. When Linus wrote Git, he didn’t call a bunch of developers on the phone and ask them what version control did they want. He knows what version control system he wanted and that’s what he built. If you’re running a startup like that, yeah, you are your user. You don’t have to worry about calling 18 people on the phone. I think it’s easy to fool yourself into thinking you’re your user. Unless you are explicitly actually your user, like you are actively using the product and you’re one of the main users of the product, you aren’t your user. It’s easy to fool yourself there. Andrew: And in your case, you guys at Justin were really the users. For months, you’d become the users. The product that you created for users like you was dead on-maybe it’s not dead one-but as close to dead on as you could get. The problem wasn’t that it wasn’t appropriate for users like you, the problem was that there weren’t enough users like you and it was hard to monetize users like you because not everyone who’s broadcasting themselves is buying the exact same products. Do I understand that right? Emmett: Exactly. We had addressed this one niche really well, but it was very hard to expand out from there. How do you get more interview shows? How do you get celebrity appearances? For puppy shows-what’s the best way to do webcams of puppies? Our technology can be used for all those things. It’s a pretty general tool. But I never actually called any people in those verticals. Andrew: I see. So, you looked and you said, “Look, people who can broadcast themselves, we’ve got a product that works pretty well for them. They can turn on their computers and while they’re sitting there, they can broadcast themselves. In fact, if you’re broadcasting yourself while you’re giving a presentation, you can clearly broadcast easily with Justin,” and many people did that well. But it wasn’t monetizable and it wasn’t a big enough audience for you. So, then you said, “We need a group of people who are clearly defined, who we can monetize, who we can obsess on and give them every feature that they need that won’t make sense to anyone else.” Did you then have the kinds of phone calls that you just started telling me about that we’ll get back to, the kind that you had with gamers? Did you have those with people who are broadcasting puppies and people who are doing interview shows? No. How did you know that this is the area that you wanted to focus on? Emmett: So, I’d like to say it was because gaming was the best vertical for business reasons. That would be like the rational reason. But in fact, it was because I liked video games. It was the primary content on Justin.tv that I enjoyed consuming. Andrew: Why do you like watching video games? What is it about watching somebody else play a game that’s so much fun? Emmett: So, it’s a lot of the same joy you get out of watching sports or the Olympics. It’s competitive. You have someone you’re rooting for. You want them to win. It’s highly skilled. If you’ve ever seen one of these players at the high levels play StarCraft or play Quake, their fingers are moving so fast you can barely see them. They can do these truly incredible things that are almost, if you’ve ever played the game before, hard to believe that they’re possible. So, watching a really highly-skilled thing is always really interesting. And then it sort of reminds me of poker, watching someone play poker. If you’re into a game, it’s interesting to try to get into the strategic mindset of the other people you’re watching, try to understand, “Why did they make that decision? Would I have made the same decision?” It’s very similar to that if you watch poker. Andrew: I see. I can see how it would be fun. You may not have thought initially about the business side of things, but Justin, your co-founder Justin Kan, when he did an interview here, he laid out what the business rationale was. He said, “You know what? We have all these guys-the same demographic that’s basically playing video games-and the product that we would sell to them is fairly natural. We sell them video games by linking out to video game sites at first.” That’s essentially what he said was the business rationale for it. Does that make sense? Does that jive? At that point, we went in and sort of dug in and said, “Can we justify this decision in business terms?” What we decided is yes, like you said, there’s this huge, very specific demographic. For advertising, specific demographics are very valuable. The 18-35 male demographic is a very valuable demographic. It’s obviously gaming’s primary demographic. We thought, “How many people actually want to consume content about games?” It was very clear there are lots of very large profitable excellent businesses built on the idea of helping people share their gaming experience or learn more about gaming outside of the games themselves, everything from IGN to GameSpot, Machinima at the time, YouTube and all anywhere else online where you can read about video games. That’s huge. Andrew: Okay. So, I understand the business rationale. I understand the personal passion behind it and I understand how you realized that it was a big enough market to pursue. Let’s spend a little more time, if you would, helping me understand what questions you ask to figure out people’s pain points. Maybe we can just start off by understanding why pain? Why do you want to know their pain specifically, instead of where their passions are? I don’t know what else you could ask. Emmett: So, it’s important to understand where their passion is. Of the eight questions I asked, I spent one or two of them trying to find out, “What’s your passion? What’s your motivating factor here?” That was really important because one thing we found out that surprised me was actually that many of these guys were trying to make a living on it making money. It was really hard to do that. That was the genesis of us creating a partner program and ways to make money broadcasting and things like that. But in the end, people are motivated by just a few things. They’re motivated by the self-expression, by fame, by money, by altruism. There’s not a long list of fundamental motivations-the desire to get laid, I suppose. You get outside of those and everyone is kind of motivated by the same things. The ways that services fail, those are many and unique. There are infinite ways that your product can create pain for your users and make it harder for them to achieve those goals. So, you spend a little bit of time figuring out what goals people have, and then you spend a lot of time figuring out what’s stopping them from achieving those goals. That’s really what’s important about looking into people’s pain points. It’s sort of like the Tolstoy quote-successful people are all successful, but people with pain points all have their own unique ones. So, we would really dive in and we’d ask them questions about not just ourselves, what’s good and bad about our service and good about specific features of our service, the archiving feature and things like that. We’d ask them same questions about competing sites if they used them. We’d ask them, “Imagine yourself as the CEO” questions, “Imagine yourself as if you can only make one change ever to the website…” and try to get them to prioritize for us and tell us not just what your pain points are. People will talk forever complaining about things, but which of these are the most important to you as well. Andrew: So, if I’m understanding you right, the big picture things that you’re looking for is, “What’s your motivation?” and, “What is keeping you from achieving that motivation?” And that’s the pain. Andrew: Alright. And if they tell you, “My motivation is to make money,” then you want to know what’s keeping them from making money and if you hear over and over that what’s keeping them from making money is they’re not getting enough ad impressions which means that they’re not getting enough people to watch, then you say, “Ah, we need to make discovery much easier. We need to make promotion much easier for them.” I see. What about this idea that I’ve been hearing in some of my interviews, that if you can find a big enough pain that your user or customer has, you don’t have to come up with the ultimate product, you just have to come up with the product that removes a little bit of pain because it’s so severe for your audience that any relief would be useful. In other words, someone who’s playing a game and trying to broadcast it out and no one is watching them, if you could get him even 50 people who’d be enthused, if you could get him 100 people you’d made his day. Does that ring true or am I misunderstanding? Andrew: That’s definitely true. In the end, if we can grow your audience by even just a small amount for most people, that’s a huge deal. Going from zero to 20 is such a big deal. Even going from 1,000 to 1,500, if we can grow your audience 50 percent or something, that’s a huge deal for people. We don’t have to give everyone a million viewers. But the way you get there, one really important thing is I don’t really believe it’s one change, it’s one key insight. At least for a service like Twitch.tv, in my experience has been it’s the constant effort of fixing one small thing after another. It’s like our users are running-I think this a Joel Spolsky analogy-our users are running a hurdle race. We started with 50 hurdles. There were three people making it to the end. We have to systematically go down there and remove hurdles one after another. Every time we remove one, some more people make it to the end. As you start to remove all of the hurdles, you reach this tipping point where almost everyone can make it. It’s easy enough that it’s something almost everyone can do. So, that’s how I think about improving the product. You start with something that solves a specific problem that people actually have. That’s sort of the idea of, “Okay, you can broadcast your game, et al. Here is this thing that lets you do that.” And then it’s just this constant effort of removing hurdles on the way to making that something truly great. Andrew: When someone tells you that they’re boring on live broadcasts, what do you say? How do you make that go away? Emmett: I think the central insight for that is that everyone is boring to someone. But the flipside of that is that everyone is interesting to someone too. The content on Facebook is boring to most people, right? If I saw some random person’s Facebook profile, I probably wouldn’t be very interested in it. In the same way, if I saw some random person’s Diablo III stream, I might interested depending on how good of a player they were. But if I was their friend, I would be guaranteed to be very interested. So, we see this huge number of people who are broadcasting to five to ten viewers. What seems to be going on there from the individuals we’ve talked to is they’re broadcasting for their friends. It’s that same experience that anyone who grew up playing video games has, where you sit on the couch and you watch your friend who’s really good play through a level. We’re sort of bringing that experience online. Andrew: I see. So, it’s not so much about finding ways to make him more entertaining. It’s more about saying, “We’re going to help you broadcast it to your friends and help your friends discover that you’re there and make sure that they have an easy time coming on. If we could get your friends in there, then we know that it’s going to be interesting.” I see. Andrew: I see. And how do you come to that realization? To me, I would just say, “You know what? Some people are just boring. This guy is never going to make it. Maybe what we’ll do instead is we’ll play some random cat videos or other people playing video games while his video is going.” How do you come to the realization that the way to make him fun is to broadcast him out to his friends? Emmett: So, I had this vision from the beginning of Twitch.tv that broadcasting was not just something for the very biggest people. Obviously, the very big streams are going to be the most entertaining, the most produced, the widest. But I had so much fun on the interactive side. I had so much fun sitting there and watching people who I knew broadcast, that I always wanted it to be a site where anyone could come and broadcast, where it was inclusive of people who wanted to play any game, even if they weren’t really an expert. I knew that I enjoyed watching my friends. I thought that would be something that could be a part of gaming culture. That’s really what we’ve seen, that one thing you do now as a gamer in addition to playing the game and playing it online with your friends is you record and share the best moments of that gaming experience with your friends, with the people you care about. It’s not always your friends. A lot of the times, if you’re broadcasting World of Warcraft, it’s not your real life friends that are going to come watch, it’s your guildmates in World of Warcraft that are going to hang out on your channel and watch you. It’s the guys you play with online who come and join in. So, I think that for me, the insight was really I enjoy watching my friends play. That means I want to encourage more of my friends to do this because when they’re doing it, I actually really enjoy hanging out on their channel. Andrew: I see. Alright. So, it comes back to you. Let me go back to the questions that you ask people. You spent half an hour sometimes doing these interviews. You are a major guy in our business. You’re running a high-profile company. I shouldn’t understate the size of this business. You are doing tens of millions of users. From zero to 30 million users in two years is what Justin told me you guys did at Justin.tv-huge. Why, then, does it have to be you who’s making the phone calls to your customers? Why can’t it be someone else who you hire? Emmett: Because fundamentally, I had to understand what our users needed because I wound up being the coordination point. As the CEO of an organization like that, you are the fulcrum. You’re the thing where your back end engineering organization reports to you. You front end engineering organization reports to you. Your business development people report up in to you. You’re the one transmitting information from one to another. If you don’t really deeply understand what it is that you’re trying to build and you’re relying on someone else to sort of understand that for you. You’re going to garble those messages. I really see the CEO’s job primarily as setting vision, but communicating, helping the organization communicate with itself. We decided it was the broadcasters because fundamentally if I love watching some broadcaster, if I love watching Day9 and Day9 is on Twitch.tv, even if I would kind of mildly prefer he be on another service, I’m going to come to Twitch.tv to watch him because I love that content. Emmett: Whereas the reverse is not true. Even if you have a lot of viewers, if you fundamentally are missing something for the broadcast or if they would prefer to be somewhere else, they will go somewhere else. Yeah, one of those things is if they can’t get a large number of viewers in your service, that’s a big problem. So, you need to make sure that it’s possible for them to get a lot of viewers. But in the end, content is king, I guess, was the insight. In our marketplace, the people with the nonreplicable good are the broadcasters because if you have 10,000 viewers, you might know 100 of them, but you’re not going to know all 10,000 of them. So, to some degree, the viewers are a fungible commodity. You can replace one viewer with another and the broadcasters don’t mind. But you can’t replace one broadcaster with another without the viewers minding. The viewers really mind if you replace the broadcasters. So, that was sort of the central thought. We’re going to start with the people who are the anchors. If you get lucky, you can do it in four or five where they’re all telling you the same thing and you’re like, “Oh, great. I’m done.” But usually what happens is two of them tell you one thing and three of them tell you something else. You’ve got to kind of keep going to figure out, “Okay, let’s make sure this is really an outlier. Let’s make sure that one guy who had this completely different attitude from everyone else, that we’re not going to get the same thing.” We really did like 40 or 50 because we did it for multiple verticals. Emmett: So, I definitely remember when we were choosing the name for Justin.tv and starting the project thinking, “There is no way on Earth I would ever name this company Emmett.tv.” Justin is a special individual. There are not many guys who would volunteer to put their entire life on the internet 24/7. I certainly wouldn’t have volunteered. So, I think it was right that he got his name on the company because that’s a ballsy move. I don’t know. I enjoyed working on it. I enjoyed doing the tech side of it and running the business, helping run the business. Justin spent all this time basically being an actor for nine months. But it’s still like, “Whoa, that’s a ballsy move for those first nine months. Holy cow.” And so, I’m not a particularly fame-seeking person. My motivation is more self-expression than fame-seeking. So, I did not really have any desire for it to be named Emmett.tv. It’s fun with Twitch, getting to run something where it really was my vision day one on exactly how it was going to go. But I think that one thing I’ve learned running startups is you need to have a clear leader. You need to have one person who is clearly the guy who is going to make the final call if people can’t agree. Who knows if it’s the right call? It’s counterfactual. I’ll never know if I actually made the right call. What’s really important is that someone makes the call and ends the argument. There’s nothing more wasteful than spending a bunch of time arguing about a decision where really you don’t have enough information and you never will have enough information to know the right answer. So, often times a decision is more important than the right decision. And then, once you get this list, you organize it and you say, “What’s common about these people? What’s an outlier? And this guy is probably crazy and unique and we can’t build for him.” You put that list together and you show it to your potential customer and you say, “Is this what you guys are looking for? If it is, help me organize it. What should I work on first?” And then they tell you. You want to always be, from minute one when you’re talking to someone about what to change about the service-people will throw out all kinds of ideas at you. You need to be helping them tell you which of these are really important and which of these are nice-to-haves for you. That has to be going on. It’s a constant process. You want to do it at the end, but you also want to do it from the beginning. Can you give me an example-you know this space. You were in live broadcasting for a long time. You were watching gamers for a long time and passionately engaged in it. What did you learn by going through this process that you didn’t know otherwise? Emmett: What I really learned was what the broadcasters had in running into at a micro-level trying to do this. I knew that everyone wanted to get a bigger audience. That’s obvious. You know that from minute one. You don’t really have to ask any questions. What I didn’t know was people have a serious issue with not being able to make money on their streams. I didn’t realize that was a big problem, actually, before we started talking to these people. I knew people like making money. Obviously, people like making money. I didn’t realize that for many of these people, doing this was their sole job and they were already making money poorly on it and it was very important to their everyday life. What I didn’t realize was things like you really, really need some way to be listed on this website. You need to be listed on the Team Liquid forums and if you’re not listed on the Team Liquid forums, no one is going to find out about your stream. That means we need to get in touch with Team Liquid with our API and make sure that our streams could show up live on the Team Liquid forums. Emmett: Team Liquid is a StarCraft 2 team. They have these community forums and they feature live video streams there. It’s one of the major ways that people who are really into StarCraft discover new streams. So, if you couldn’t be listed there when you were broadcasting on Twitch, that’s a big problem because the people who are really into StarCraft aren’t going to find out about you. Those are sort of the influencers in the community. So, what they told us is, “Hey, your service is great. We love streaming on it. But when we do, we aren’t featured here because you don’t have an API integration with Team Liquid.” So, we were like, “Okay. We better get an API integration with this one specific website.” It’s strange. That’s not something that would have leapt to mind when thinking about improving our website for broadcasters, but it was actually really important to them. So, those kinds of pieces of information-you never know what you’re going to find out. If you knew what it was, you’d be there already. You wouldn’t have to ask anybody. But it’s the little things about the ecosystem and about doing the work that you miss, even if you are a member of the community. I was a member of the community, but I always discovered through Justin.tv. I guess kind of obviously, I would go and look at our directory and pick something out of there. I didn’t use the Team Liquid forums as my primary discovery mechanism. So, that kind of stuff is super important. Andrew: Do you know a guy named-I’m sorry. Go ahead. That’s the most important thing. It’s easy to come up with lots of ideas to improve your service. There are always lots of ways you can make it better. But which way better is the really important question. That’s why focusing on prioritization is so important when you ask people questions. Andrew: You know, when we do courses with Mixergy Premium, one of the things that I ask the course leaders to do is to come up with an example of failure that happened to them when they didn’t do what they’re about to teach because people will then pay attention. They’ll start to identify with that mistake or they’ll start to identify with that cautionary tale. What happened to you that made you say, “I’ve got to pick up the phone and put myself out there and talk to strangers and ask them for feedback and maybe get yelled at or maybe just come across looking I don’t know?” You get all kinds of nerves and negative self-talk and you overcame it to do this. What happened that made you say, “I’ve got to do this.” Where was the pain for you that made you take this action? Emmett: Yeah. So, we have this cautionary tale at Justin.tv. It’s called “Challenges.” We wrote this feature called “Challenges.” It took almost a month. It was almost a complete site redesign around Justin.tv. The idea was people would create video challenges and they’d vote on which ones they wanted to see. And then as a broadcaster, you could fulfill a video challenge. You could say, “I’m going to response to this dare,” right? We thought this was brilliant. This was the best idea we’d ever had. In that entire month we were building it, we never once actually went and talked to people we thought would be fulfilling that thing about whether they’d use it or, if they would use it, what’s important to them about it-never once. We released it to a grand total of, I think, 67 videos created for challenges ever. Emmett: We wound up rolling back the feature and just destroying it. That sort of turned into this internal cautionary tale of you cannot build features in isolation. No matter how brilliant you think the idea is, you must talk to people. When I was starting this project, I just thought about, “I’m about to put in a bunch of effort into building all of these gaming features. I will hate myself if, at the end of the day, I get 67 people using this new feature.” That’s sad, for a website with millions of users to get that small of an amount of engagement. So, that was probably our biggest single failure. It’s like a month of almost the whole company working on this feature, so, a year of man effort or something like that. It was bad. Emmett: I’ve relearned it, right? This is a lesson you don’t learn once and then you’re like perfect at it. Thankfully, nothing that’s invested a month’s worth of effort. But we’ve built, thankfully, small features on Twitch.tv that we were very proud of that we thought were going to be really excellent. We’ve, three or four times now, been burned by building something we think is going to fix the problem and actually just doesn’t because we didn’t take the solution back to them. They tend to be little things for broadcasters. But it’s a lesson you learn over and over again. Every time you ignore it, it’s at your peril. Sometimes you get lucky, but I don’t really want to run the business on hoping. Andrew: Did you talk to competitors’ users to see what they were excited about and what they wanted you to build or did you focus on yours? Emmett: Talking to competitors’ users is really important. And not just competitors-I don’t think YouTube is really that much of a competitor to us. They’re primarily VOD. We’re primarily live. You want to talk to anyone who is even in the space, users of people who are tangential or who have users who might be your users. The people who use your website obviously think it’s good enough that it’s better than the alternatives for them. The people who aren’t using your website, they’re the most important people. They’re the people who haven’t yet decided to use you, who, for whatever reason, prefer to be on something else or just don’t even do the behavior you want them to do yet. In the case of the YouTube users, they’re not even broadcasting live yet. So, understanding their pain points, they’re running into something that’s way more of a problem than the people on your website are. Emmett: So, the big one there was discovery by game. All of our competitors when we started were, like Justin.tv, generic video sites. They were video sites where you go and when you browse, you’re browsing by gaming videos. Well, when it turns out, of course, gaming videos is way too broad. You need to drill down much more finely if you actually care about gaming video. So, we went and we got people to tag all the video with what game they were playing. And then you could discover by game. And it sounds like this little thing, but it made such a huge difference to our broadcasters. That was something where users on our service weren’t demanding so much as the users off our service were demanding it. The other thing was other websites had the monetary side. People who wanted to make money on their streams weren’t using us. You couldn’t make money on Justin.tv at all. There was no way to do it. So, people who wanted to make money and have that attitude were primarily not on us. So, it was really helpful. We wouldn’t have even known about those users if we had been talking only to our own users. Emmett: That was probably the single biggest thing we did. We developed the partner program. We setup ads. We came up with an entirely new ad type that was optimized for gaming because we thought that traditional advertising methods weren’t good. We setup a whole system for tracking how many ads had been run per-channel, which had never existed before and just generally put a lot of effort into making that work right. That was our month worth of effort. That was at least a month’s worth of work to get a way to make money functioning on the website. Andrew: So, when you know you’re going to invest that much time into a new product, do you show it to people even more than you would otherwise? Do you run it by them in a different way? If you’re going to spend a month of eight people at the company to put together a whole new program, you need to talk to more than one person. You need to talk to a couple dozen people. You need to invest proportionally more effort into that validation. Andrew: Let me not gloss over what you just said there a moment ago because I’ve seen other entrepreneurs do it too. If it’s something small, they will just ping friends on Skype or people on Skype who are their top users and say, “Hey, am I thinking right?” And get quick feedback and then go and do it. I’ve done this with an entrepreneur where I was just brainstorming what he should do next. He started pinging people on Skype and I couldn’t believe it. Since then, I’ve noticed that others do it too. Andrew: He’s got baseball cards, essentially, for video gamers. You guys helped to establish him. I don’t know if it was you or someone else. What I wanted to ask you is-and you and I started talking about this before the interview started-gaming is now huge. What is going on here? What are the rest of us who aren’t this deep into it missing out here that’s allowing you to build your business on it, that’s allowing him to build his business on it, that’s allow people who are on his cards and on Twitch to build careers playing video games-what’s going on here? Emmett: So, there are three things that go into making a new sport. You’ve got to have an audience. The audience for gaming has existed for a while. It’s everyone who’s ever played a video game or plays video games. That’s almost everybody now. It’s huge. But you look at poker. There was a huge audience for poker forever too. You didn’t see poker on TV until about 2001. So, what happened? What happened was the invention of the hole-cam. What happened was they invented some way that you could actually watch it in a meaningful way. You could actually understand what was going on. What we’ve had is we’ve had our hole-cam moment for video games. Video game companies have started putting in spectator modes, which enable you to broadcast a video game in a way that makes visual sense to a viewer, not just to a player. That’s been this huge sea change in the ability to really produce great video game content. I think the other thing that’s happened is just broadband. The ability to watch 1080p video from your living room is more and more common. That didn’t exist before. Video games, you really want to watch them at the highest resolution you can because there are lots of little details you want to catch. So, adding that broadband with sort of our hole-cam moment together has really been the sea change that’s enabled watching video games to be something that goes mainstream the same way that playing them has been. Andrew: So, where is the opportunity here for someone who’s listening to you? What should they be paying attention to as they’re thinking about what’s going on here and how to build businesses around this? And then you should talk to them all the time. I was at E3. I go to MLG events. I talk to these people on Skype. You need to soak yourself in that culture with those people and really understand not just their pain points, although that’s obviously the number one thing, but their hopes and their dreams and what’s going on in their lives and the trends that they’re seeing and the dynamics of their relationships with the rest of the ecosystem. You need to really understand that world, even if you aren’t a direct participant in it. And then really just do not take your eye off that ball. Once you pick those people, don’t decide you want to also do these other people. It’s tempting. Twitch.tv, the technology, nothing about it is really specific to gaming inherently. You can imagine a Twitch.tv for comedy that’s a great place to watch live comedy online. I don’t know. That might be a great idea for a business. You can’t let yourself add that. It’s tempting. I see many businesses do this, say, “We can be so much bigger than this.” No. Until you actually are a multi-hundred million dollar business and you’re making this huge amount of money and you’ve tapped out the industry, you’ve grown to where all of the gamers in the world are watching on Twitch.tv-okay, maybe then. But even then, you’re probably too busy. You really just have to keep your focus on that group of users. Pick on group of users, talk to them all the time and don’t take your eye off the ball. Andrew: How do you know that all of this worked? This was a lot of work to put into discovering this new group of people to service. It’s a lot of work to make sure that you’re building all the right things for them. It’s a lot of work to actually do the building of it. I don’t want to gloss over that either. How do you know that all of this paid off, that you were right to have done this? Is there a metric? Emmett: So, there are really two metrics. One is uniques. We cracked 17 million uniques last month. This is unique viewers watching video on Twtich.tv, which is up from 2 when we started. That’s huge. We’re just reaching so many more people. But for me, the one thing I look at that makes me know we’re doing something right is that when we reach those people, we reach them in a really deep and engaged way. They’re not coming by and watching a two-minute clip and leaving. They’re coming by on average for more than 70 minutes a day. When someone comes to the website, they do about three views. Those three views last over an hour, like 70-something minutes. That, to me, says, “Okay, we’re producing something that is almost live TV in the level of entertainment it provides.” It’s something you’ve turned on and you leave it on and you really engage with it for long periods of time. I think for me that’s the concurrent stat, the amount of video watched. We looked a video watched as our primary thing. We’re at about three billion minutes now a month. That’s really cool to me because you start to do the math on that and you realize this is something that’s a cultural phenomenon the way TV is. It’s something that people spend hours and hours and really get into. So, I think that’s the number that I keep my eye on. How much are people actually watching? Andrew: Wow. I don’t watch 70 minutes of everything a day. Hulu and Netflix-nothing. That’s impressive. I wonder what CNN’s minutes per month are. Emmett: Yeah. That’s really interesting. I don’t know. Andrew: I’ve got to believe you’ve blown past that. Emmett: People watch four hours of TV a day on average, which is truly absurd. I think a lot of it’s passive viewing, but still. So, I feel what we’re doing is we’re part of the cord-cutting phenomenon, where we’re starting to take a piece of-just like Hulu or Netflix. You were watching this amount of television and now you’re using this internet service instead. I think that’s a big thing that’s going on. Andrew: So, almost exactly a year ago. You get to 17 million users, 17 million a month. We should also say that you did have some users coming in from Justin.tv. You didn’t start from scratch. Emmett: We did. We had about 2.5 million when we launched. But having those 2.5 million was great. Getting those first few million people showing up is hard because in the beginning, you don’t have any content. That meant when we were starting, we already had the engine turning, to some degree. So, we didn’t have to build that starter motor, which is one of the hardest things about starting a new company. Andrew: You built that with Justin. Justin.tv didn’t start with millions of users. You guys built it, each one, one at a time, got them to come to the site. Let me say this and then I want to ask you a closing question. First of all, guys, if you’re watching this and you’re saying, “I learned a lot about how to ask questions here of my audience. I want to know even more. I really want to put this into action.” If you’re a Mixergy Premium member, we have the step-by-step for you. Just go to MixergyPremium.com. It’s all right there for you in one of our courses. We do dozens of courses on how to get PR, how to get traffic, how to monetize it, how to get assistance to come in and help you, how to delegate properly, all those things that you need as an entrepreneur. This is just one of many courses, the one where we teach you how to ask the right questions and how to figure out who to even ask when you’re doing this process. 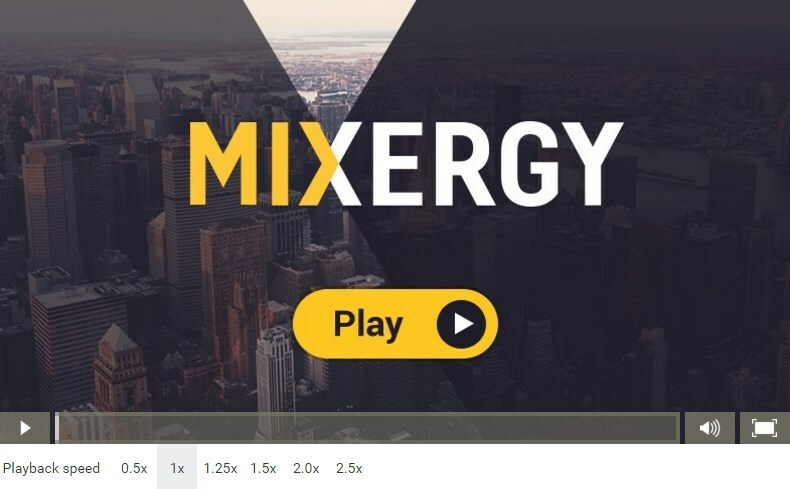 You just got to MixergyPremium.com. If you’re already a member, all of those courses are part of your membership. If you’re not a member, I promise that it’s going to be worth every dime you spend. In fact, it’s going to be worth thousands of dollars to you. If it’s not, come back and I’ll give you a refund. So, go to MixergyPremium.com and find out why thousands of members are happy to be members. I’m looking forward to having you in there. Emmett: That’s a good question. Have you interviewed Steve Huffman? Emmett: If you’ve interviewed him, he definitely comes to mind as someone who has a lot to say about startups that I really respect. Let’s see… Who else would I pick? You know who I would bring on, actually, that you probably haven’t had on? Jamie Quint. Emmett: He did a YC company a while ago. I think he’s starting another company now. He’s in the middle of that. I just had dinner with him last night. He’s worked at Swipely. He’s worked at a number of other startups. In each place, he’s been doing a lot of user acquisition work. When I have a question about, “How do I make this email campaign more effective?” or, “How often should I send a retention campaign?” or any question about activating, retaining, reaching out to users, that kind of stuff, “How should I think about running my SEM campaign?” I go to him. So, I think you should talk to him. Andrew: Okay. Adam from Hipmunk will be on tomorrow. I’m going to record an interview with him. What should I be asking him? Steve’s co-founder, right. Emmett: I would ask Adam about how do you negotiate? More than, “How do you negotiate,” how do you work with a big company to create agreements that are beneficial for both of you? Because that is one of the hardest things startups face when they try to do business development-doing business development with big companies. Adam is really good at it. Emmett: So, that’s what I would say to ask him. Andrew: Alright. Final question is this-what’s one piece of advice out of all of this? Some of this feels overwhelming. For someone who is listening who is saying, “I really buy in to Emmett’s world view, but I need an easy way to get started,” where do you recommend that they get started? Emmett: So, it sort of depends on where your startup is and what you’re doing. What I would say is just try it for one feature. Don’t try and do it for your whole company at once. It’s too big. It’s too complicated. It’s really hard. It’s a lot of work. The first few times I tried it, I failed. We tried to call people and it hadn’t worked. I would say pick one improvement you want to make to the website. And then back out of that, “Okay, which users on our website do we think this is actually going to help?” And then go call them on the phone and talk to them. Get them on Skype. Don’t tell them about the feature you’re building. Ask them about the problem you think that feature is going to solve. More generally, “What problems do you have? Do you have this problem? If you could make one change to the website, what would it be?” Ask them those questions and see if it lines up with the feature you’re going to build. Emmett: Don’t try to run a huge, big process. Talk to five people and do validation first. Validate that some feature you’re about to build is what you should actually build. Andrew: I’m sorry, Emmett. I’ve got to ask one other question. You said that you failed at this before? Emmett: So, we tried to do this for Justin.tv a couple of times with social broadcasters, for example. We call them social broadcasters, people who would show up in broadcasts with their webcams of their friends. We didn’t ask the right questions and we didn’t talk to the right people. I would say the fundamental problem is we spent a lot of time walking them through mockups and user testing and trying to validate that our flows worked. We did a great job of that. Our flows were excellent. We had very low drop-off. People could get to the webcam broadcasting step no problem. But we spent zero time trying to figure out if that was actually important. If the issue was it’s too hard to broadcast with a webcam, if the issue wasn’t, “I don’t even want to broadcast with a webcam or when I do, no one comes and watches me.” We didn’t talk to them. So, I didn’t even know what their problems where. I’m making things up right now that could be their problem. Emmett: It’s really easy when you’re doing user development to prompt them with, “We’re building this. How do you feel about it?” It’s like, “No, no.” You don’t go to people with features or what you’re doing until you’ve already talked to them like twice. So, you’ve already gone through all of the primary work on the problem. The preliminary work is more important. It’s good to go back. But the first part is the important part, not getting the user testing for flows. Once you have a product that’s working great, there’s obviously infinite work to be done on final analysis and optimization on those fronts. Zynga is a company that’s amazing at that, for example. But before you get to that, you have to actually have a product that’s working that you know people actually have the pain you’re solving. Andrew: All right. This is one of the best interviews that I’ve ever done. I love the process here. So much of this feels like magic. When you’re watching from the outside, you think, “Boy, Emmett just understands people. He knows the video game space. He can predict what people want.” Now I understand how you predict what people want. It’s not easy. You really have to live in their world, talk to them, really get in their heads, understand, care, connect with them. To have people pop in on Skype in the middle of the day with you, it’s work. It means you have to stop everything else, but I can see the payoff here. Thank you for walking me through all this.